High Performance Replacement Air Filter for Maserati 4200, Coupe, GranSport and Spyder. 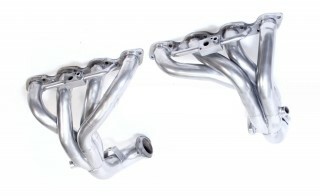 The Larini Sports Centre Section offers improved performance and sound but with more silencing compared to the X-Pipe. Noticable Improvement in Torque / Horsepower from this weld-in replacement. Lightweight Alloy Performance Wheels for the Maserati Coupe, Spyder and Gransport. 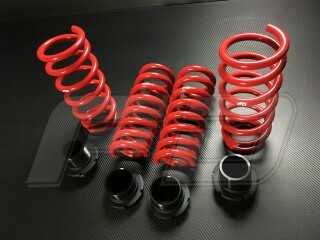 High Performance Sport Spring Package for the Maserati 4200, GranSport, Coupe and Spyder Models. 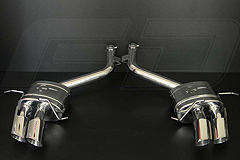 High Performance Anti Sway Bar Kit for the Maserati 4200, GranSport, Coupe and Spyder Models. Street Legal Stainless Steel Braided Brake Line Kit for Maserati 4200, GranSport, Coupe and Spdyer Models. 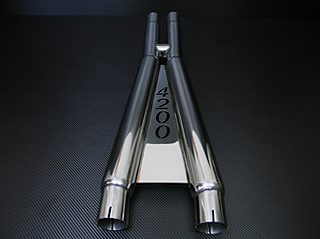 High Performance Track / Race for Maserati 4200, GranSport, Coupe and Spdyer Models. 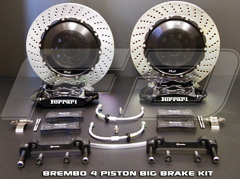 Service Kit for Maserati 4200 Coupe, Spyder and GranSport Models. 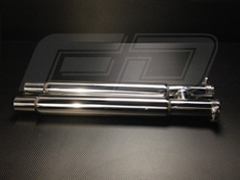 High Quality Replacement Rear Tie Rod for Maserati 4200 Coupe, Spyder and GranSport Models. High Quality Replacement Rear Ball Joint Dust covers for Maserati 4200 Coupe, Spyder and GranSport Models. Lightweight Alloy Performance Wheels for the Maserati 3200 Coupe. Street Legal Stainless Steel Braided Brake Line Kit for Maserati 3200 Coupe. 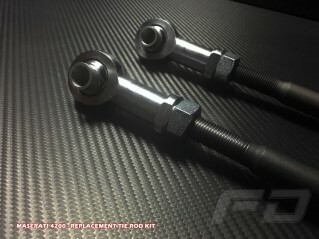 High Quality Replacement Rear Tie Rod for Maserati 3200. High Quality Replacement Rear Ball Joint Dust covers for Maserati 3200. High Performance Replacement Air Filter for all Maserati Quattroporte 4.2L and 4.7L Models. 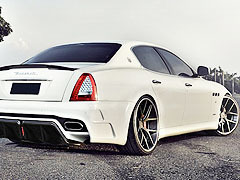 ECU Tuning for Maserati 4.2L Quattroporte. 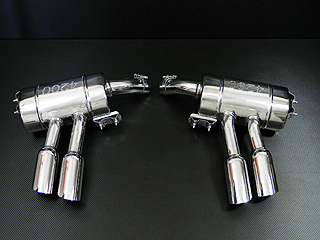 Adds HorsePower and Torque across the board as well as a noticable improvement in throttle response. Improved Throttle Response, Gear Selection and Shifting for the Maserati Quattroporte with (Automatica) Transmission. 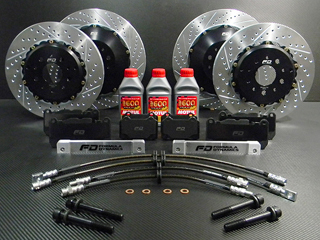 Service Kit for Maserati Quattroporte DuoSelect (F-1) Models. 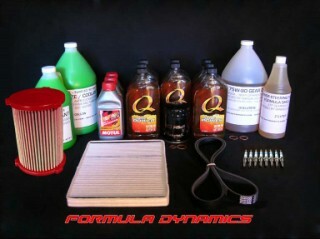 Service Kit for Maserati Quattroporte Automatica Models. Lightweight Alloy Performance Wheels for the Maserati Quattroporte. Street Legal Stainless Steel Braided Brake Line Kit for Maserati Quattroporte Models. Improved Take-Off, Throttle Response, Gear Selection and Shifting for the Maserati Quattroporte V6 3.0TT (Base, S, SQ4). 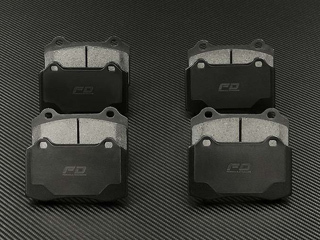 High Performance ECU Tuning for Maserati Quattroporte 3.0L Base (2WD). 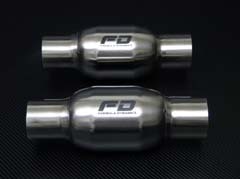 Provides ignificant increases in Power and Torque across the RPM Range. 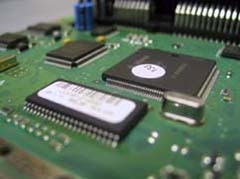 High Performance ECU Tuning for Maserati Quattroporte S / SQ4 Models. 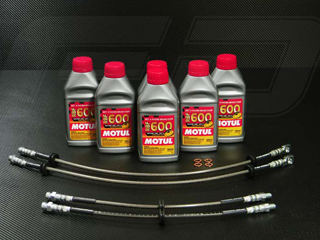 Provides ignificant increases in Power and Torque across the RPM Range. 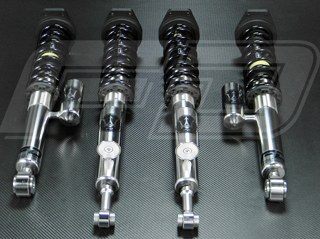 High Performance Anti Sway Bar Kit for all 2013+ Maserati Quattroporte Models. 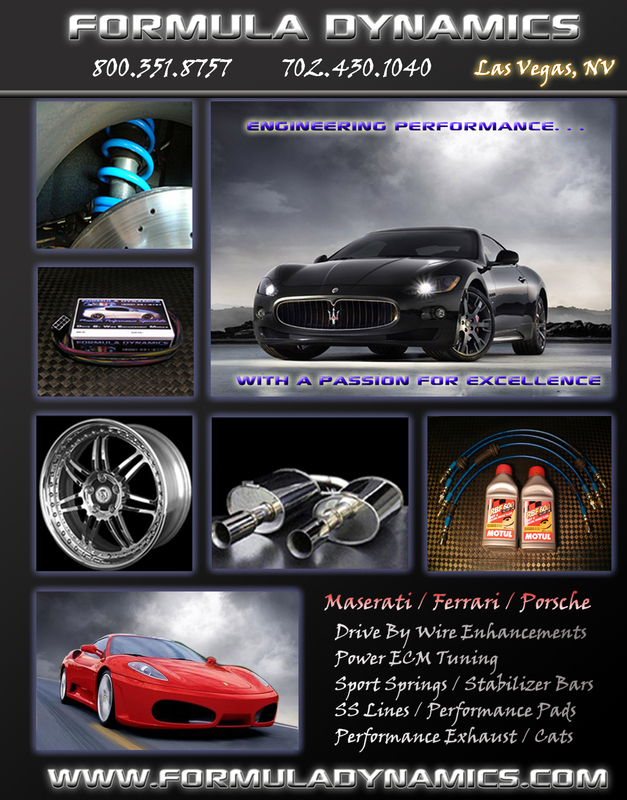 High Performance Sport Spring Package for the Maserati Quattroporte. 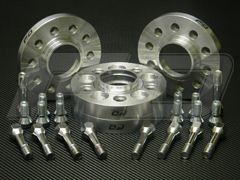 Adjustable Height Sport Lowering Kit for the Maserati Quattroporte. 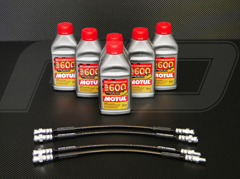 Street Legal Stainless Steel Braided Brake Line Kit for all Maserati Quattroporte Models. High Performance Replacement Air Filter for Maserati Ghibli. Improved Take-Off, Throttle Response, Gear Selection and Shifting for the Maserati Ghibli. 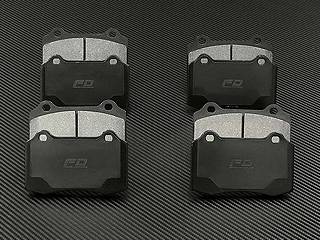 High Performance ECU Tuning for Maserati Ghibli Base (2WD). 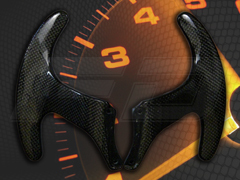 Provides ignificant increases in Power and Torque across the RPM Range. 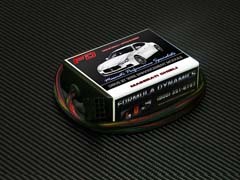 High Performance ECU Tuning for Maserati Ghibli S / SQ4 Models. 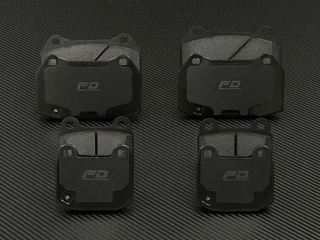 Provides ignificant increases in Power and Torque across the RPM Range. 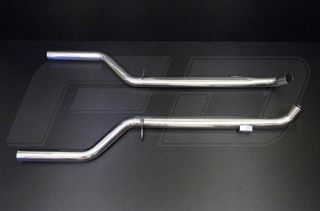 High Performance Anti Sway Bar Kit for all Maserati Ghibli Models. High Performance Sport Spring Package for the Maserati Ghibli. 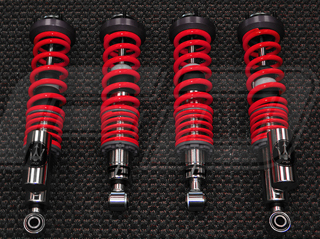 Adjustable Height Sport Lowering Kit for the Maserati Ghibli. Street Legal Stainless Steel Braided Brake Line Kit for all Maserati Ghibli Models. High Performance Replacement Air Filter for all Maserati GranTurismo 4.2L. 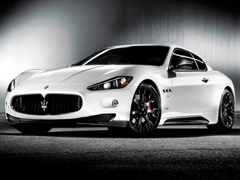 Improved Throttle Response, Gear Selection and Shifting for the Maserati 4.2L GranTurismo Models. 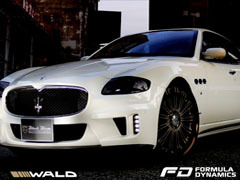 ECU Tuning for Maserati 4.2L GranTurismo. 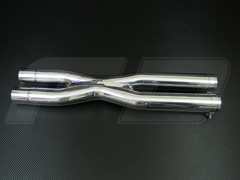 Adds HorsePower and Torque across the board as well as a noticable improvement in throttle response. 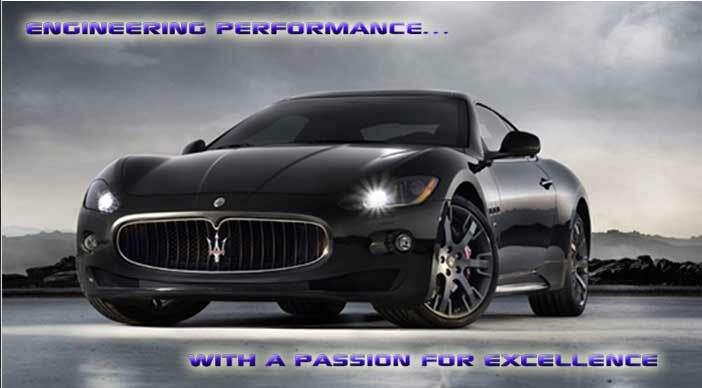 Enhance your Maserati GranTurismo with the highly sought after MC Sportline Carbon Fiber / Trim Package. 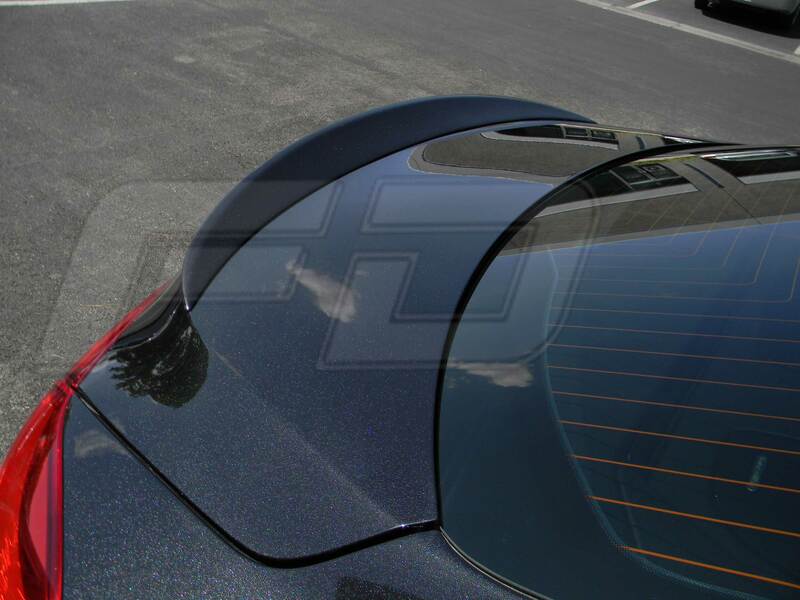 Personalize the style of your Maserati GranTurismo or GranTurismo S with the MC Corsa Body Kit. 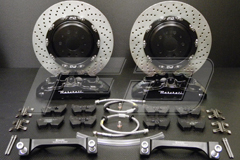 Service Kit for Maserati GranTurismo Automatica Models. 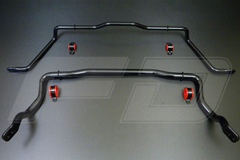 High Performance Anti Sway Bar Kit for the Maserati GranTurismo, GranTurismo S and GranCabrio. 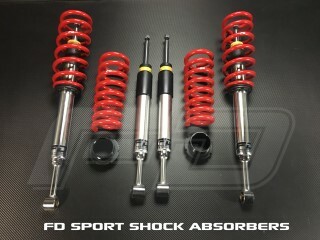 High Performance Sport Spring Package for all Maserati GranTurismo Models. Lightweight Alloy Performance Wheels for the Maserati GranTurismo. Street Legal Stainless Steel Braided Brake Line Kit for Maserati GranTurismo Models. High Performance Replacement Air Filter for all Maserati GranTurismo 4.7L models. Improved Throttle Response, Gear Selection and Shifting for all Maserati GranTurismo 4.7L models w/ (Automatica) Transmission. 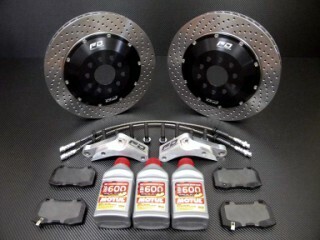 Service Kit for Maserati all GranTurismo 4.7L Automatica Models. 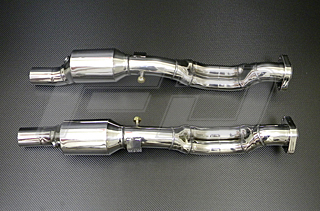 Enhance your Maserati GranTurismo 4.7L with the highly sought after MC Sportline Carbon Fiber / Trim Package. 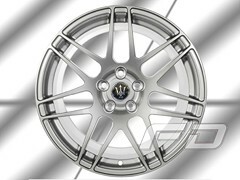 Lightweight Alloy Performance Wheels for all Maserati GranTurismo 4.7L models. 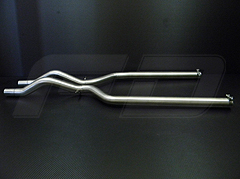 High Performance Anti Sway Bar Kit for all Maserati GranTurismo 4.7L models. Street Legal Stainless Steel Braided Brake Line Kit for all Maserati GranTurismo 4.7L models. High Performance Replacement Air Filter for the Maserati GranCabrio. Improved Throttle Response, Gear Selection and Shifting for the Maserati GranCabrio. 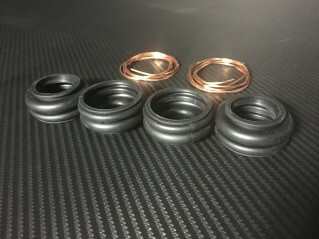 Service Kit for Maserati all GranCabrio 4.7L Automatica Models. Enhance your Maserati GranCabrio with the highly sought after MC Sportline Carbon Fiber / Trim Package. Personalize the style of your Maserati GranCabrio with the MC Corsa Body Kit. Lightweight Alloy Performance Wheels for the Maserati GranCabrio. 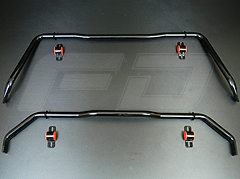 High Performance Anti Sway Bar Kit for the Maserati GranCabrio. Street Legal Stainless Steel Braided Brake Line Kit for Maserati GranCabrio Models. 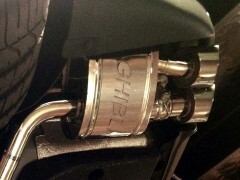 Street Legal Stainless Steel Braided Brake Line Kit for Ferrari California Models. Lightweight Alloy Performance Wheels for the Ferrari California. High Performance Replacement Air Filter for all Ferrari 612 Models. Lightweight Alloy Performance Wheels for the Ferrari 612. Street Legal Stainless Steel Braided Brake Line Kit for Ferrari 612 Scaglietti Models. 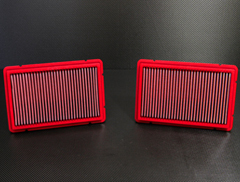 High Performance Replacement Air Filter for all Ferrari 599 Models. Lightweight Alloy Performance Wheels for the Ferrari 599. Street Legal Stainless Steel Braided Brake Line Kit for Ferrari 599 Models. 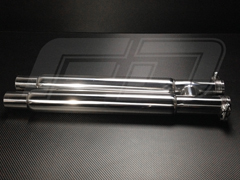 High Performance Replacement Air Filter for all Ferrari 575 Models. Complete set of High Performance Replacement Street Pads for Ferrari 575 Models. Complete set of Quiet, Low Dust Replacement Street Pads for Ferrari 575 Models. Street Legal Stainless Steel Braided Brake Line Kit for Ferrari 575 Models. 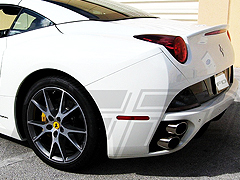 Lightweight Alloy Performance Wheels for the Ferrari 575. 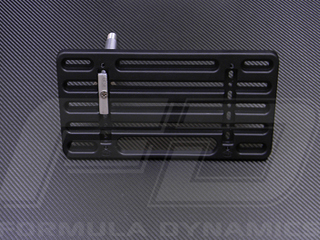 High Performance Replacement Air Filter for all Ferrari 550 Models. Complete set of High Performance Replacement Street Pads for Ferrari 550 Models. 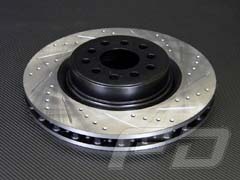 Complete set of Quiet, Low Dust Replacement Street Pads for Ferrari 550 Models. 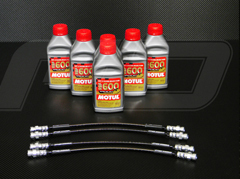 Street Legal Stainless Steel Braided Brake Line Kit for Ferrari 550 Models. 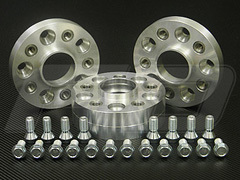 Lightweight Alloy Performance Wheels for the Ferrari 550. 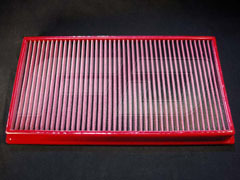 High Performance Replacement Air Filter for all Ferrari 512 Models. Complete set of High Performance Replacement Street Pads for Ferrari 512 Models. Complete set of Quiet, Low Dust Replacement Street Pads for Ferrari 512 Models. 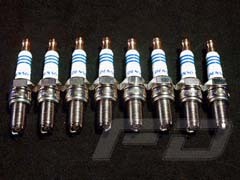 Street Legal Stainless Steel Braided Brake Line Kit for Ferrari 512 Models. 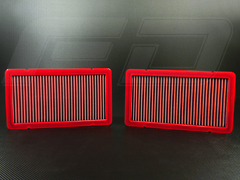 High Performance Replacement Air Filter for all Ferrari 458 Models. 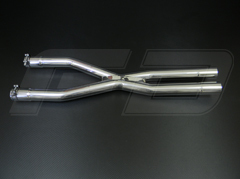 Street Legal Stainless Steel Braided Brake Line Kit for Ferrari 458 Italia Models. 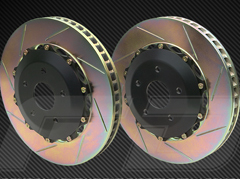 Lightweight Alloy Performance Wheels for the Ferrari 458. 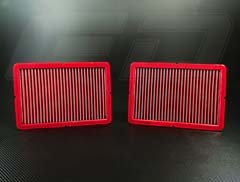 High Performance Replacement Air Filter for all Ferrari 456 Models. 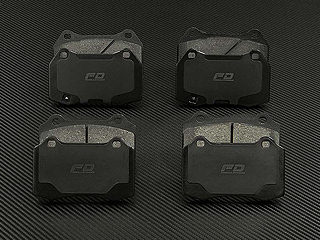 Complete set of High Performance Replacement Street Pads for Ferrari 456 Models. 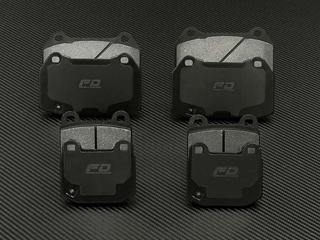 Complete set of Quiet, Low Dust Replacement Street Pads for Ferrari 456 Models. Street Legal Stainless Steel Braided Brake Line Kit for Ferrari 456 Models. 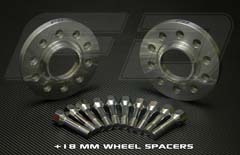 Lightweight Alloy Performance Wheels for the Ferrari 456. 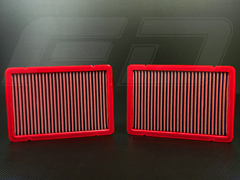 High Performance Replacement Air Filter for all Ferrari F430 Models. 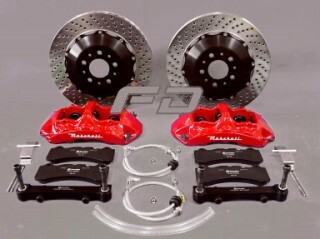 Lightweight Alloy Performance Wheels for the Ferrari F430. 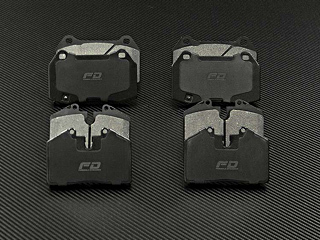 Complete set of High Performance Replacement Street Pads for Ferrari F430 Models. 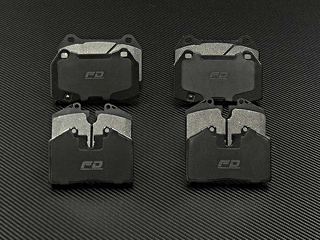 Complete set of Quiet, Low Dust Replacement Street Pads for Ferrari F430 Models. Street Legal Stainless Steel Braided Brake Line Kit for Ferrari F430 Models. 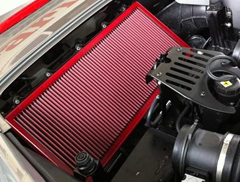 High Performance Replacement Air Filter for all Ferrari F40 Models. 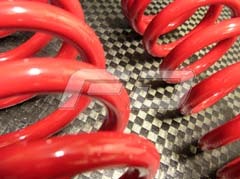 Street Legal Stainless Steel Braided Brake Line Kit for Ferrari F40 Models. 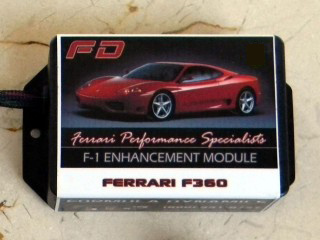 F-1 Enhancement Module for Ferrari F360. Unleashes improved response, clutch engagement and wear. High Performance Replacement Air Filter for all Ferrari F360 Models. 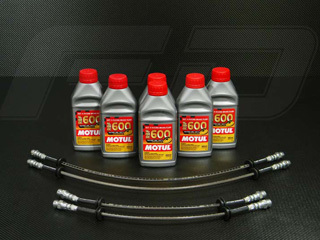 Street Legal Stainless Steel Braided Brake Line Kit for Ferrari F360 Models. 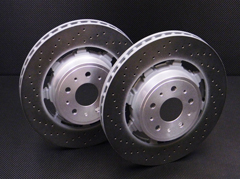 Lightweight Alloy Performance Wheels for the Ferrari F360 Coupe and Spyder. 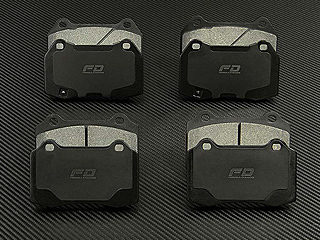 Complete set of High Performance Replacement Street Pads for Ferrari F360 Models. 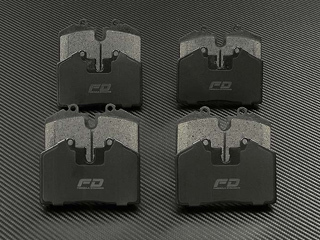 Complete set of Quiet, Low Dust Street Pads for Ferrari F360 Models. 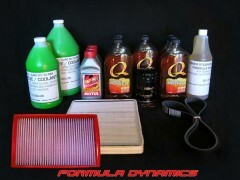 High Performance Replacement Air Filter for all Ferrari F355 Models. Street Legal Stainless Steel Braided Brake Line Kit for Ferrari F355 Models. 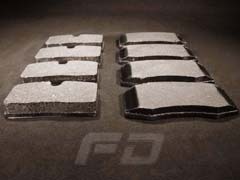 Complete set of High Performance Replacement Street Pads for Ferrari F355 Models. 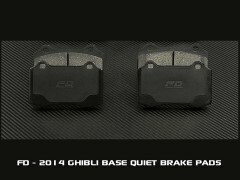 Complete set of Quiet, Low Dust Replacement Street Pads for Ferrari F355 Models. 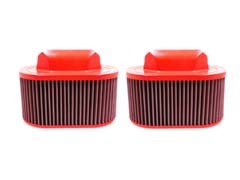 High Performance Replacement Air Filter for all Ferrari F348 Models. 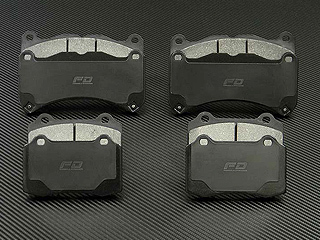 Complete set of High Performance Replacement Street Pads for Ferrari 348 Models. Complete set of Quiet, Low Dust Replacement Street Pads for Ferrari 348 Models. Street Legal Stainless Steel Braided Brake Line Kit for Ferrari F348 Models. 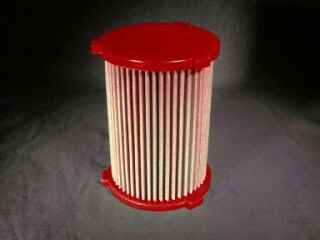 High Performance Replacement Air Filter for all Ferrari 308 Models. 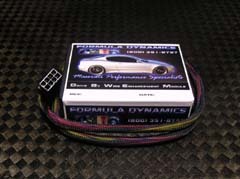 Street Legal Stainless Steel Braided Brake Line Kit for Ferrari Testarossa Models. 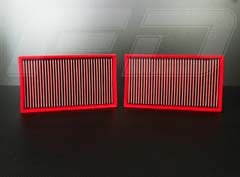 High Performance Replacement Air Filter for all Ferrari Mondial 3.4L Models. Wider Stance and Improved Handling for your Ferrari Mondial. 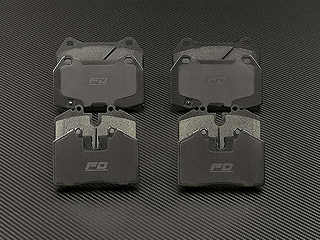 Complete set of High Performance Replacement Street Pads for Ferrari Mondial 3.4L Models. 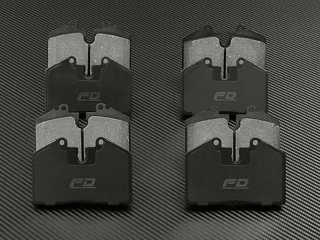 Complete set of Quiet, Low Dust Replacement Street Pads for Ferrari Mondial 3.4L Models. 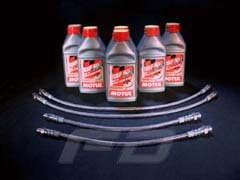 Street Legal Stainless Steel Braided Brake Line Kit for Ferrari Mondial 3.4L Models. Formula Dynamics is looking for customers with specific exotic vehicles to fine tune products that are either in development or where a particular variation of the model exists. In these cases discounts will often apply. Contact us directly with any input you may have on a new product that needs to be built by Formula Dynamics or with the details of your exotic to see if you're a fit for the program! 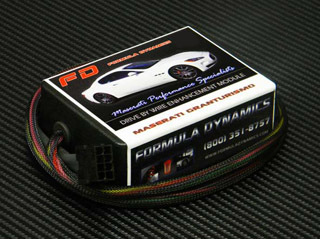 Formula Dynamics is the worlds leading supplier of performance parts and enhancements for modern Maserati & Ferrari vehicles. 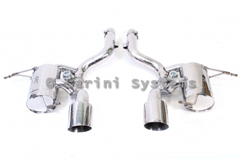 Formula Dynamics is also the North American Importer and Distributor for Larini Systems Exhaust fitments for: Maserati & Ferrari Exotics. 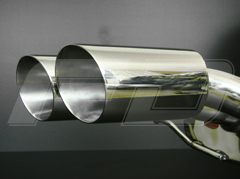 Additionally offering systems for Lamborghini and Audi R8 Exotic Cars. 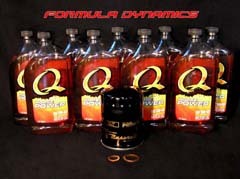 Formula Dynamics is a member of the Spring Mountain Motorsports Ranch which is Las Vegas's premier Road Race Facility. With full access to the Race Track, we are able to spend time developing our products in a controlled environment to be sure that you get the best results from our products both on and off the track. 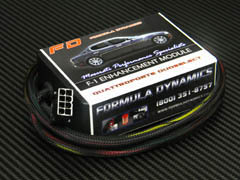 Formula Dynamics also ships worldwide and is the only company to offer unique and innovative products such as our acclaimed F1 Products and Drive By Wire Enhancement Modules. Rest assured that here at Formula Dynamics, we know performance and we know our products� We strive to be sure that every customer gets the attention they deserve and the results they are after. With Authorized Install Centers around the world, Formula Dynamics can help you to get the best results from any of the products you purchase with us. Be sure to have a look at our website for more information on a qualified install center near you. Remember that Formula Dynamics also offers discounts on OEM Parts for Maserati and Ferrari vehicles shipped directly to your door worldwide. 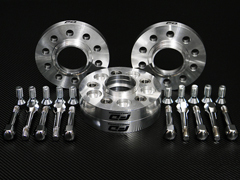 Whether you're in South Carolina or Singapore, we can offer original factory parts at a great discount from a source you trust. Mailing Address: 4640 Arville Street, Bldg. A, Las Vegas, NV 89103 U.S.A.
Get the hell off that fence and order this thing immediately! "SLAM BAM THANK YOU, MAAM"
WHOO HOO!!!! I love them!!! Picked up the Car today!! FREAKIN AWESOME!!! I can feel the power bump! So far, no squeal what so ever, and the braking is very smooth and firm. The performance improvement is immediate, awesome, and smooth!! They are a mandatory first step and make a big difference. My stock pads squealed like pigs, I'm very happy so far. You need to get it, totally worth it. They stop so good that passengers in my car have "grabbed the dash"
It is like having a new car! (no words can describe) AWESOME!!! 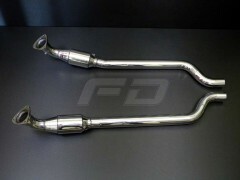 FD springs on 2005 QP with adjustable skyhook. Just wait until your try this set up on the track! Five Stars for Jeff and Formula Dynamics! Instant hookup is how I would describe this modification. Feels great, rides great, looks great. Solid improvement with power and sound. Feels like the car has another 50HP. All I can say is wowwww. Mod Squad to the rescue! Literally will throw your head back! They stopped like a champ! It's like having a new car. This more than exceeded my expectations! The ECM is worth it, adds quite a boost! Gear changes are lightening quick! It's like I own a new car!